Kris Rydholm Överby is a true Minnesotan, born and raised in the Twin Cities. 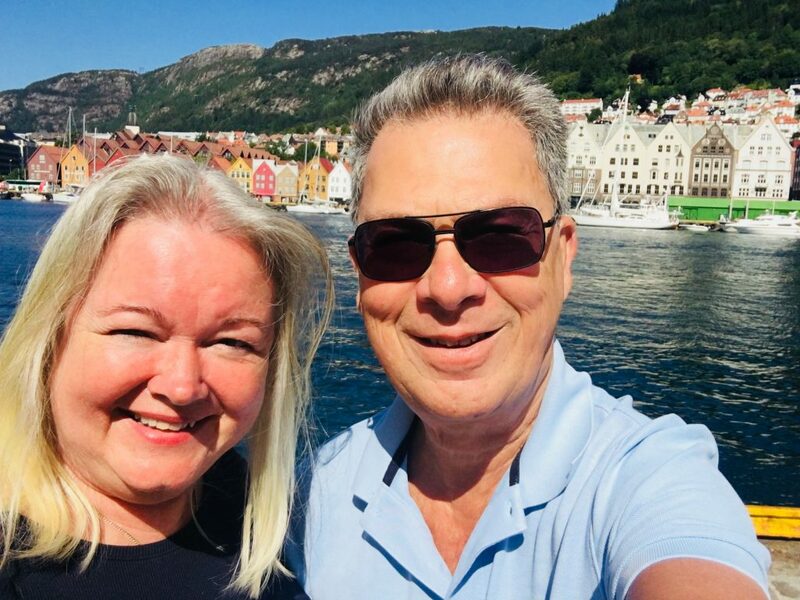 After university in the States, she landed in Sweden and then traveled the globe as Editor-in-chief for Critical Care News. In addition to being a freelance medical writer, she is an authorized Stockholm Guide and tour leader. Magnus Rydholm is a genuine Swede and has a background in economics and as a teacher of economics and law. Magnus is also a tour leader. He has grown up and lived in many parts of Sweden, including Värmland, Småland, Skåne, and Östergötland. We live in Sigtuna, a small town founded by the Vikings and where Sweden begins. We both have a natural passion for Minnesota and Sweden, and have been tourleading friends and business associates in both countries for decades. We also have a love for history and genealogy: Kris has traced her roots back to the 1800’s and Magnus to the mid-1600’s. MinnesotaSwede works in collaboration with Reseskaparna in Scandinavia. Reseskaparna is a unique tour operator in Sweden which specializes in providing content-rich cultural experiences, with focus on customer care and quality. Reseskaparna has been in the business of providing unique travel experiences since 2009.